Tim Roth to star in David Cronenberg’s “The Knifeman”, 18th century London series. 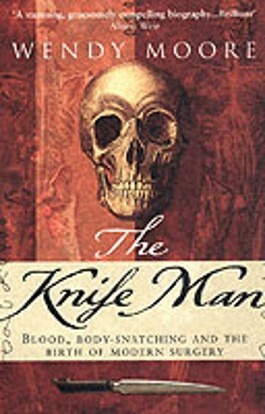 After Garrow’s Law, it seems we will get another ambitioned mini-series project set in 18th century London: Wendy Moore’s “The Knife Man: Blood, Body Snatching and the Birth of Modern Surgery” is getting adapted for TV, with the pilot directed by nobody else but David Cronenberg. Tim Roth stars as the titular Knifeman in what appears to be joining recent historical drama procedurals such as Ripper Street and Copper. Now, since my impression of both of those was rather mixed, I am not expecting too much, except for the usual Hollywood kiss-kiss-bang-bang, this time with wigs, maybe. What leaves me rather hopeful, though, is that 18th century London per se can be an extraordinary background for historical mysteries, as Keith Heller’s George Man Mysteries proved in a rather impressive fashion. To be true, I’d rather like to see the Man Mysteries on the silver screen, than yet another sensationalist fictional adaptation of a non-fiction book. From what I understand, the series is slated for a late 2014 release. I am happy to say, I am very much looking forward to watch it when it’s out!